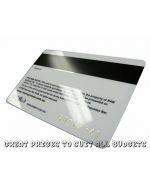 Promote yourself and your local business by ordering affordable, high-quality business cards from Promotional Items. We are a reliable Australian vendor who provides individuals and businesses with bulk decorated business cards for any occasion. We have a range of shapes and sizes available, as well as lots of eye-catching branding techniques to ensure your business cards stand out. 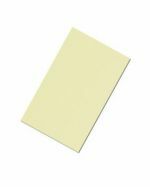 Buy in bulk and save -- our cards come at a price as low as 10c per card for businesses working with a strict budget. No matter your industry or role, Promotional Items' businesses cards will work for you! Even in these days of email and smartphones, the humble business card remains the simplest, most effective way to exchange contact details with peers, clients, and wider audiences. Names, job titles, company names, phone numbers, email, physical and social media addresses and a host of other information can be passed on in a matter of seconds through a promotional business card. 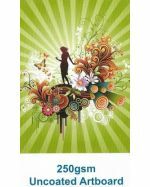 All our business cards feature amazing vibrant prints that will make you and your business stand out from the rest. If in need call us and ask about our graphic design service. We can provide you with amazing designs, or bring us your ideas and we can bring them to life for you! 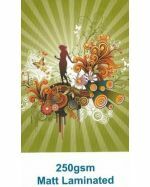 Our premium finishes include plastic, UV coated and lenticular cards. Why let your cards look like everybody else's when yours can be noticed! 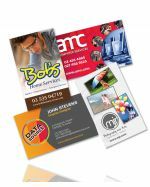 We offer fast delivery for business cards direct to your door and service all areas of Australia including Sydney, Melbourne, Brisbane, Darwin, Hobart, Adelaide and Perth. We ship to regional areas too -- ask our professional sales team for information. If you're providing business cards for a lot of your staff members, consider buying them some branded card holders to help keep them together when they travel (and to ensure they don't get damaged). What is a Customised Business Card? Where to Use Personalised Business Cards? Business cards are perfect to distribute at a variety of events. 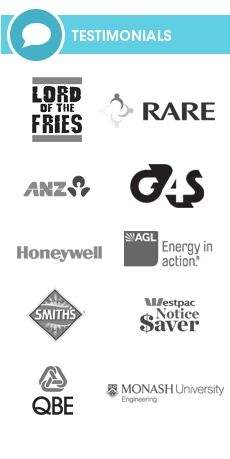 Why not try handing yours out at the following? Why Use Promotional Business Cards? 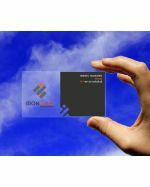 Promotional business cards are an essential corporate tool used across the world to establish connections between individuals, clients, and businesses. When you hand out your business card, you are providing key information about yourself that your recipient can utilise to reach you easily. Business cards are commonly distributed at formal meetings, conferences, and trade shows, as well as between individuals in casual settings. Even now in an era of smartphones, business cards are still a highlight sought after option to ensure your details are conveniently received and can be referred to easily once passed on to your recipients. Business cards are a cheap and effective product, they cost little to produce, and their simplicity means they are easy to utilise across all professions. Rather than relying on all kinds of data exchanges via phone or email, a business card provides a memorable, physical item that recipients can refer to after an event is over. Promotional Items custom tailors business cards to your requirements, so you're free to be as creative as you like with your design. 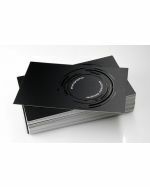 Express yourself and promote your professional contact details with a set of business cards today.